The ST-50 Stylus cleaner is equipped with a micro-dust cleaning gel specially designed for laboratory clean- room applications. during the cleaning process. 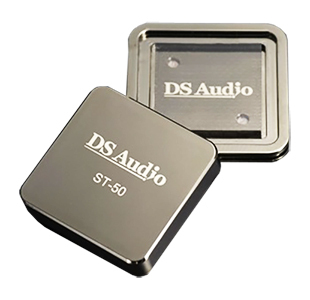 The DS Audio ST-50 cleans your stylus at the tracking force set on the tone arm. exclusive design will complement your audio system, an essential for all vinyl audio fanatics. then nickel-plated and the precision laser cut markings and leather cushion are installed. for 30 minutes at room temperature. Its cleaning performance will be completely renewed.